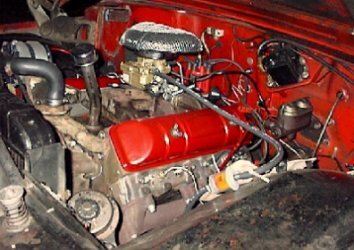 The Rambler 327 bears no physical resemblence to the small block Chevy V8 at all. It more closely resembles the Chevy 396/454 big block, but isn't related to them either. 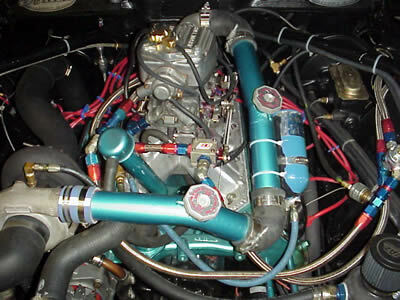 The Rambler 250/287/327 engine family was developed in 1955. Rambler was changing it's identity during the late 50s and was under new corporate name of American Motors Corporation (AMC). 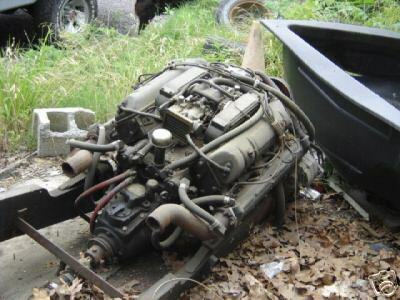 AMC was buying Packard V-8s under a "gentleman's agreement" that Packard would buy major parts from AMC in return. When Packard didn't keep their end of the bargain, AMC president Gerge Mason told his engineers to get a V-8 out as soon as possible. AMC hired Kaiser engineer Dave Potter, who worked on a V-8 design for Kaiser, to speed the work along. 18 months later the 250 V-8 was in production (1955), with a bigger 327 cubic inch version introduced in 1956. 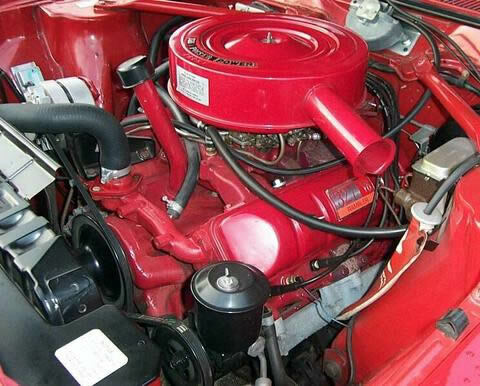 The Chevy 327 small block wasn't introduced until 1962. The 250 was dropped after 1962 and the 287 introduced in late 1963. All these V-8s share the same parts except for the block and pistons. All have forged cranks and rods with a 3.25" stroke. The blocks are cast with different bores (3.50" for the 250, 3.75" for the 287, 4.00" for the 327). The 250 uses solid lifters while the 287 and 327 have hydraulic lifters. Other than these differences the engines are all identical. These Rambler V-8s went out of production after 1966 for AMC passenger cars. 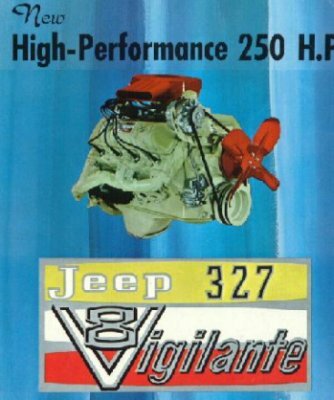 The 327 was the first V-8 available in the Jeep Gladiator trucks and Wagoneers from 1965 through 1968. Gray Marine also prepared a marine version of these V-8s for boats from 1958 until around 1966. 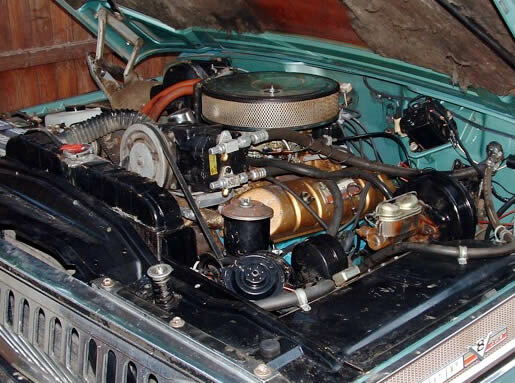 1964 Rambler 287 with turbo!